There’s a concept in poker known as being “pot committed”: basically, reaching a point at which you have so much money invested in a pot that you feel like you have to stay in a hand to the end. (The concept, when properly applied, further involves things like pot odds — essentially, the payout you can expect versus the assumed odds of winning the hand — which we won’t bother with here.) Imagine you’ve already bet $100 on a hand, and the next bet to stay in is $10: You might reasonably tell yourself, Well, I’ve already spent $100, I might as well spend another $10. Many poker experts and most economists will tell you that thinking about being “pot committed” in this way is a fallacy. Your odds of winning don’t change whether you have $10 or $110 in the pot. You have to consider each new bet against the presumed odds of winning or losing. And you should think of the $100 you’ve already spent as being already gone. I was reminded of this concept sometime around the middle of episode eight of Daredevil on Netflix. There I was, eight episodes in, with only five more to go — I had to stick it out, right? Even though, on the whole, I found the show underwhelming, and had certainly amassed enough evidence — eight hours’ worth! — that a sudden uptick in enjoyment was unlikely. Yet I was forging on. Well, I’ve already spent eight hours, I thought. I might as well spend another five. TV Review: Is Daredevil What Netflix Is About? Yet too often I find myself binge-watching for other less noble and less enjoyable reasons — much in the way that, say, the concept of binge-eating doesn’t exactly conjure culinary discernment or unmitigated enjoyment. I’m binge-watching to simply get a show off my plate — I’m purge-watching, basically. (Purging being another term with unfortunate food associations.) For some reason, it’s very easy to quit a weekly show mid-season, or even after one less-than-enticing episode. But because there’s always one more Daredevil to devour, I feel compelled to consume them all. I found it very easy to part ways with Gotham after sampling the pilot, and haven’t looked back. Did Gotham get better? Maybe — but I don’t really mind missing out on a pretty good show. The dilemma of the cornucopic modern TV age is not that you won’t see a pretty good show you might enjoy; it’s that you’ll waste too much time watching a pretty bad show that you don’t enjoy — which is precisely the temptation that binge-watching presents. There are concrete creative drawbacks to the binge-watching model as well. As this review points out, watching a show’s episodes back-to-back-to-back, without the buffer of a week in between, often highlights repetitious crutches and lazy narrative shortcuts. (For example, in Daredevil, Foggy Nelson seems to spend 60 percent of his screen time getting drunk late at night, then banging on the doors of people who aren’t home.) With a traditional show like The Good Wife, the creators can respond to public reaction and course-correct, as happened with a widely unloved plotline about the character Kalinda and her husband Nick. With the binge-watchable 13-episode season-dump, there is no course correction. 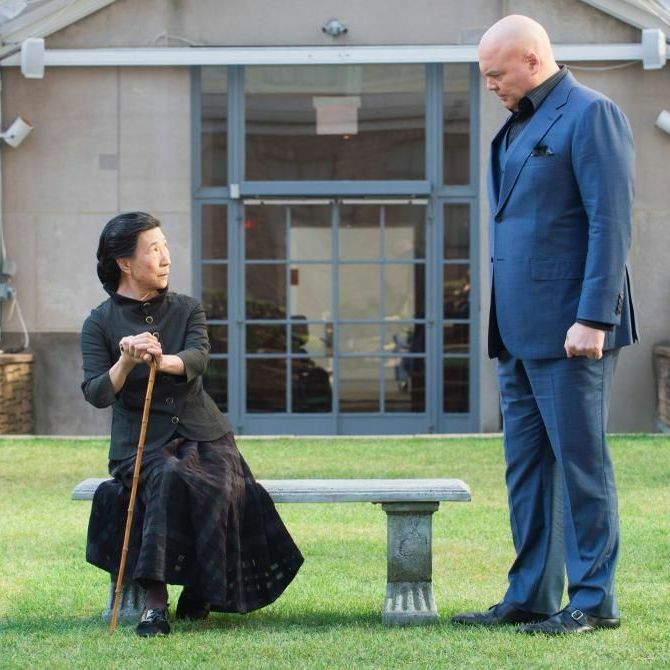 Daredevil’s writers have no opportunity to, say, shelve the Foggy-and-Karen-as-junior-detectives subplot while giving more screen time to Wilson Fisk. And while binge-watching offers the page-turner-ish promise of consuming a thrilling story at your own pace, it offers almost no possibility that the show you’re consuming will get more thrilling along the way. What you see is not only what you get, it’s what you’re likely to keep getting. You could argue this model better preserves the purity of the creators’ vision, since they’re not forced to respond to the audience’s whims. But one of the skills of creating compelling TV is adjusting on the fly — think of Vince Gilligan recognizing the great chemistry between Walter White and Jesse Pinkman, and keeping Pinkman around as a series regular rather than killing him off in season one, as was originally planned.